I’m so excited its finally here!! 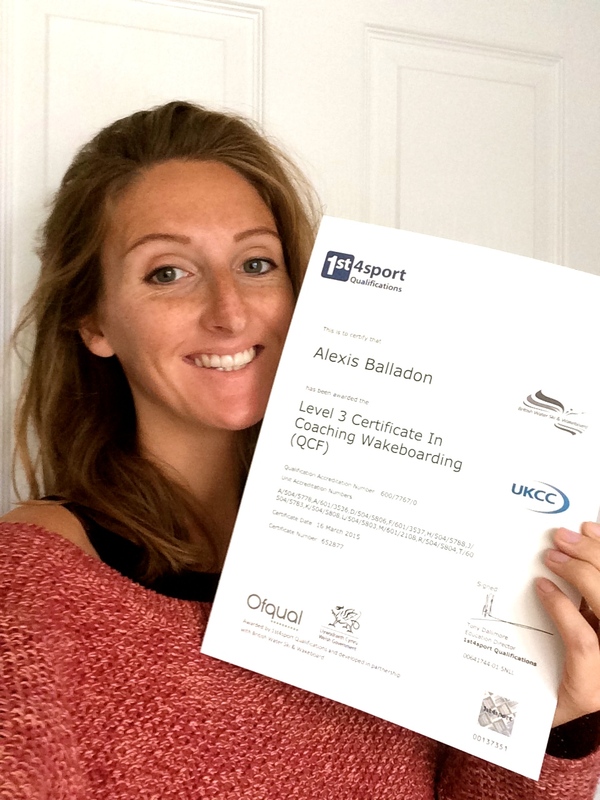 My certificate for my 1st4Sport Level 3 Wakeboard Coaching qualification! I’ve been working on this course for two years doing classroom days, workshop days, plenty of coaching and assessments as well as the necessary courses that you need to qualify, such as Safeguarding & Protecting Children, DBS checks, First Aid and joining SportCoachUK for full insurance coverage. The level 3 was a brand new course when we started it way back when and I’m stoked to be the first person in the UK to complete it! I’m so happy its finally done!!! If you want to get some wakeboarding qualifications under your belt, head over to BWSW to find out all the info.